At-home lash extensions have arrived! Just the sound of that – “at-home” paired with “lash extensions” – gives me happy chills. I love lash extensions, but the pain of having them professionally applied and touched up every 2-4 weeks is painstaking. Who has time to drive to the spa, lay there for an hour for touch-ups (or two for a full application) and then pay through the roof?! I certainly don’t, which is why I could never stick to getting them done consistently. So when I saw Lashify’s at-home eye lash extension kit, my eyes bulged out of my sockets and I immediately purchased their control kit. Read on below for the full review of this life changing beauty product. 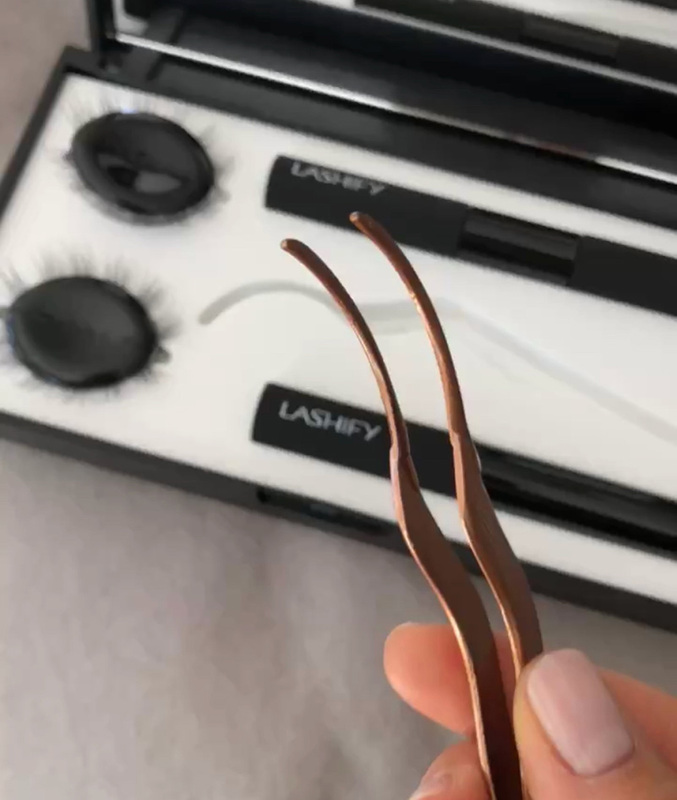 How it works: (Step 1) First purchase the Lashify Control Kit; the kit contains two lashes, A12 and A14 (their most natural curled lashes), an applicator, double sided glue in black and white, and a finishing lash treatment. Once you have this control kit, (Step 2) you can either purchase refill lashes on the website in singles or sign up for a discounted monthly subscription of lash refills. Lashes: There are three different types of lashes: A, B, and C. A’s are soft, fluttered and the most natural of the three. B’s follow a similar shape to the A’s in terms of lift and curl, but are darker and thicker for a more dramatic look. C’s are similar to A’s in terms of thickness, but they have a higher more dramatic curl. Lashes are small clusters, six for each eye. And are applied, using the adhesive and applicator, underneath your natural lashes. Glue: The glue is gentle, soft and pliable. It is double sided, offering glue in black and in white. Unlike other glues that adhere strongly and can pull out your natural lashes, Lashify’s glue is strong but gentle. Removal is easy and does not affect natural lashes. Finishing Gel: Used to prime and coat the lashes after they are applied. Review: I love these lashes! They’re incredibly comfortable to wear throughout the day and they look so natural!! Because they adhere underneath the lashes, you can’t see the lash base like you can when they’re applied on top. After a few tries, it became easy to apply these lashes. 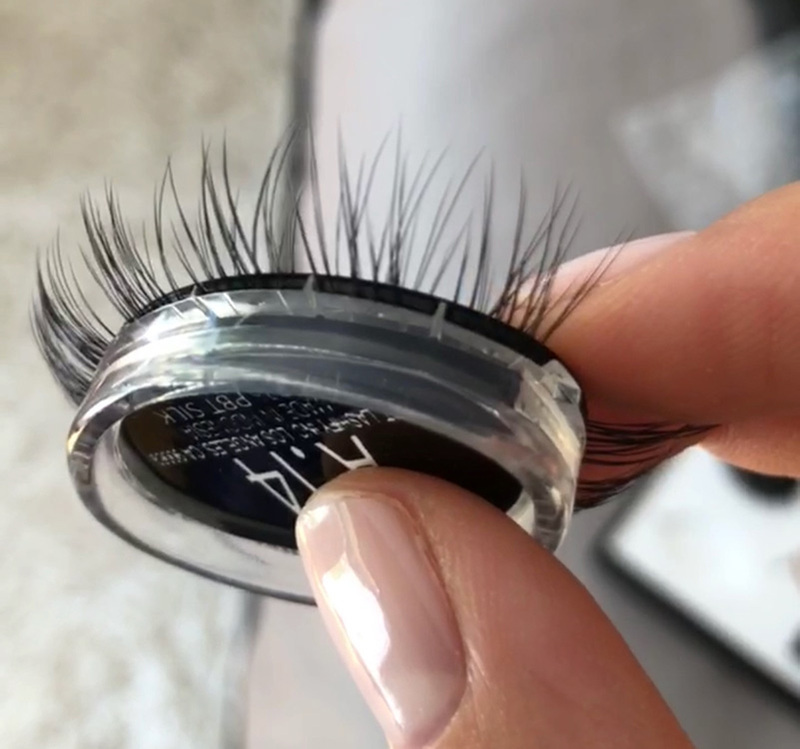 You just swipe on the glue at the base of your lash line, similar to how you begin applying mascara, then apply the lashes up underneath your lashes onto the glue. Clamp down to create a seal and you’re good to go! Personally, I found the applicator difficult to use, but using my fingers works really well! Once I finished using the lashes in the control kit, I ordered more via the website. I ordered more of the A’s and the C’s. I found the C’s to be too curly for my eyes. I feel like it looks fake on my Asian eye shape. The A’s have a straight downward projection that gently curls up at the end and looks more natural, since they follow a similar downward slope to my natural lashes, versus the C’s which have a sharp upward curl. For the lashes, the numbers represent the length. So the A12’s are going to be shorter than the A14’s. The A12’s seem to be the most natural for my Asian eye shape. Removal of the lashes is really simple. The glue is strong, but gentle and does not pull out your natural lashes when you remove them. The brand says you can wear Lashify lashes for up to 1-week, night and day if you avoid hot steam showers and swimming. I found them to be too uncomfortable to wear at night, so I remove them, clean them, and then apply again in the morning. Once I got the hang of application, they’re very quick to adhere. Overall, these are gorgeous, gorgeous, gorgeous lashes that I love! They aren’t as permanent as true lash extensions, but they’re better than traditional strip lashes. 1. Always apply the lashes to clean, dry lashes. 2. Do not use mascara on top of lashes. 3. Use a gentle cleansing oil and micellar water to remove lashes and lash glue. I like to clean them with micellar water and allow to air dry on a paper towel for reuse. 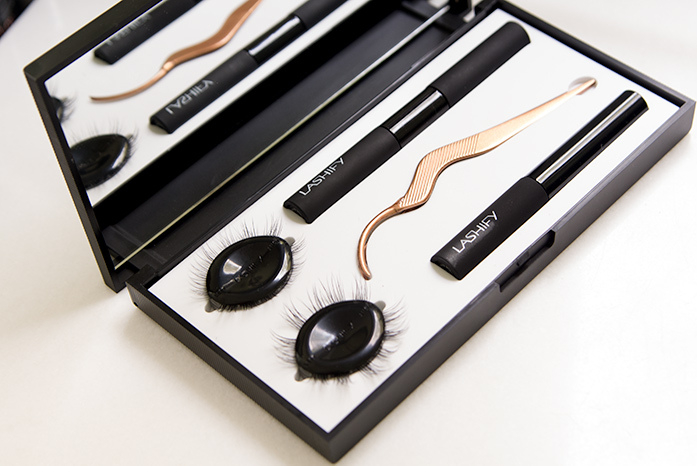 Cost: Control Kit – $125 ( for 20% off any order over $100 – use code OBSESSED), Lash prices vary. *To watch a live demo of these lashes and see how they look, go to my Instagram page to watch me apply the Lashify at-home lash extensions. Want more? Read my review on the best eyebrow tattoo artist in SoCal or why hair thinning will affect one-third of women this year.